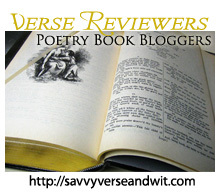 Welcome to the 128th Virtual Poetry Circle! Will hold. "Months now and no kiss of the witch." The whole state overcast with such particulars. The isolate forms of snow are its hardest fact. Holding nothing back, nothing in, nothing at all. As if, in the third year of a "relocation"
Without ever seeing where you were going. Or as if you've cheated on a cold sickly wife. And a parrot-green pullover. Not her. The lengthening shadow of the galaxy's sweep. On warm nights and watch her through the trees. On the house, on a world of possibilities.